Have you ever found yourself struggling to complete a task due to not being able to focus? You may have been experiencing food-induced “brain fog”. In most cases, you’ve probably not eaten to fuel your brain. Don’t worry, we're here to help change that. Brain food is very real and very important. Swapping out a few foods in your day can help make a significant difference. Here are some powerful foods you can incorporate into your diet to help give your brain an extra boost. Eating just one square of free radical-fighting dark chocolate can help promote good brain function as well as healthy blood circulation. Better yet—eat Paleo dark chocolate made without cane sugar or soy lecithin. You can find it at stores selling healthier food options. Let’s go where the wild things are! Just 4 ounces of wild-caught salmon provide the proper serving of healthy fats, including omega-3s, that your brain relies on to stay healthy. Also, it has more potassium, iron, & zinc than farmed salmon. One way you’ll know it’s wild-caught is the color—it’ll have a deeper reddish orange hue. Eating black rice, a natural detoxifier, can help keep your brain performing at its best. This fibrous, iron-filled, and antioxidant-rich sprouted grain may help reduce brain inflammation and help maintain oxygen flow throughout the brain. Try to eat black rice, instead of other types of rice, whenever you can. Choline, found in broccoli, is a vitamin our brain relies on to improve memory. Some of its other nutrients, like vitamin K and folic acid, can help prevent our brains from aging faster than necessary. We like to include broccoli in our salads. 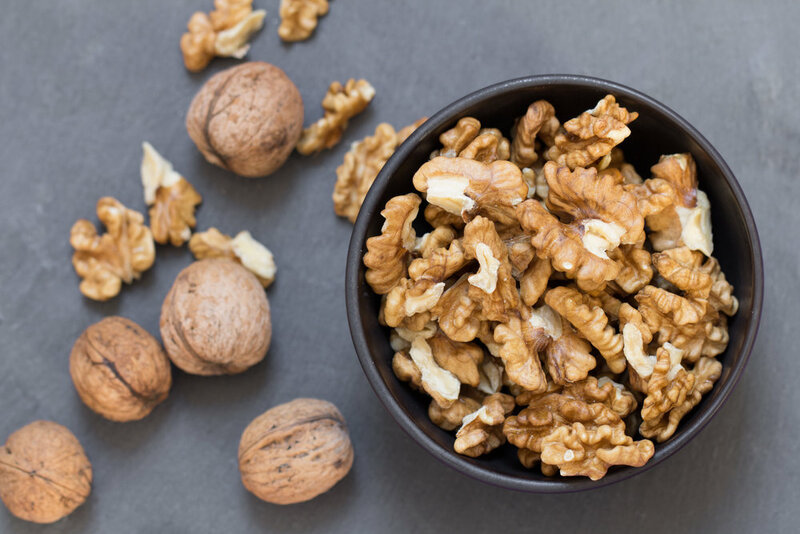 Consuming DHA, an omega-3 found in walnuts, may help the brain with its signal system and memory function. They also contain important nutrients like vitamin E, melatonin, and polyphenols that protect neurons in the body. Walnuts are a great crunchy addition to most any dish.